Ta-daa: Quiz Bird #6!/¡Acertijo Aviario #6! Congratulations to Nilanthi Kelsey of London (yes! UK!) for correctly and speedily identifying this Prothonotary Warbler, Protonotaria citrea. 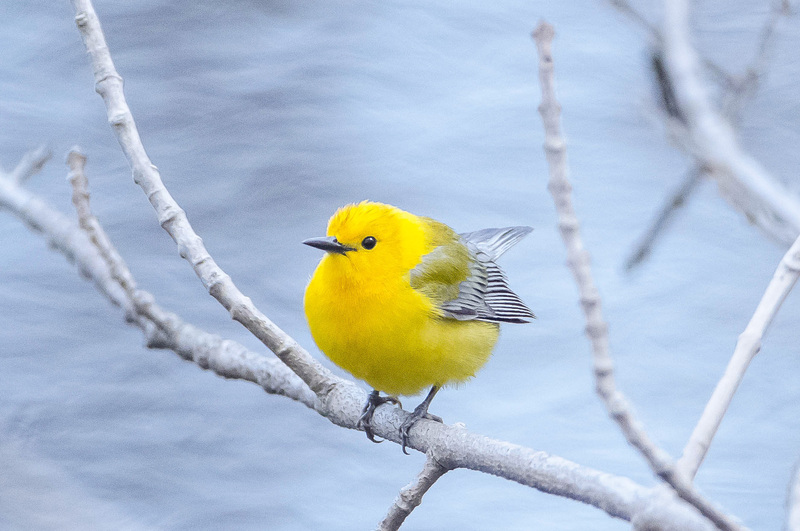 Prothonotary Warbler (photo by Bill Batsford). Nilanthi kindly declined her prize so we will send our tee shirt to Linda Threatte, (first runner up) of Pisgah Forest, NC! We had 9 entries for this contest; 7 of which were correct. Congratulations to: Mike Judd, Wendy Russell, Patty Scott, Dave Janas and Nic Korte! Again, special thanks are extended to Bill Batsford of New Haven, CT for permission to use this photo, taken in April 2015 at the Connecticut Audubon Larsen Sanctuary in Fairfield, CT.
Felicitaciones a Nilanthi Kelsey de Londres (si! Angleterra!) por identificar rápida y correctamente a la Reinita Cabecidorada. Pronotonaria citrea (foto de Bill Batsford). Nilanthi rechazo su premio debido al costo de correo; entonces vamos a enviar la camiseta a Linda Threatte, la subcampeona, en el estado de North Carolina. Tuvimos 9 entradas para este concurso; 7 de las cuales fueron correctas. Nuevamente extendemos un agradecimiento especial a Bill Batsford de New Haven, CT, por su permiso para utilizar esta foto, tomada en abril de 2015 en el Connecticut Audubon Larsen Sanctuary en Fairfield, CT. 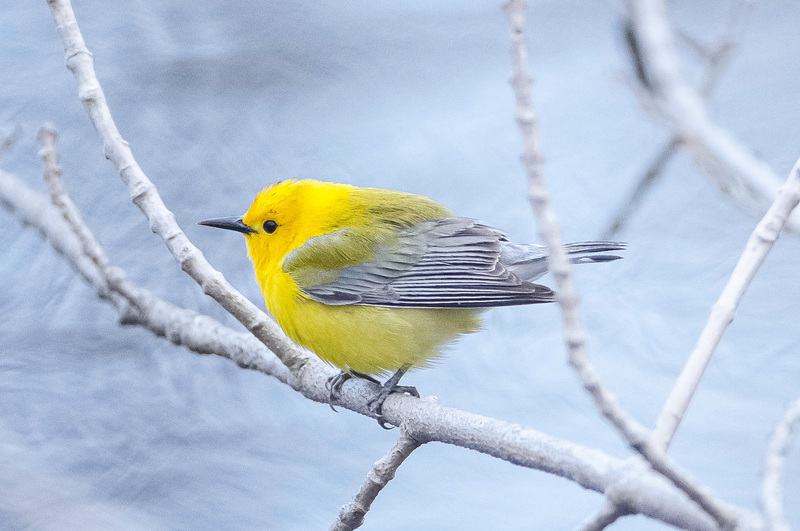 This entry was posted in Bird Quiz and tagged Birding in San Vito Costa Rica, Connecticut Audubon Society, free bird walks, Larsen Sanctuary in Fairfield CT, Prothonotary Warbler by AWOlivieri. Bookmark the permalink.